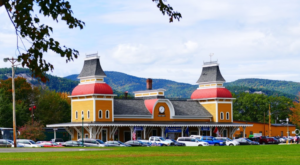 If you’re a train enthusiast, you’ll find plenty to love in New Hampshire. The state’s logging and shipping history means that there were plenty of railroads carrying freight back in the day, and these days we have more than our fair share of scenic railroads, converted depots, and more. Here’s our list of spots you have to visit if you’re a big time train lover! 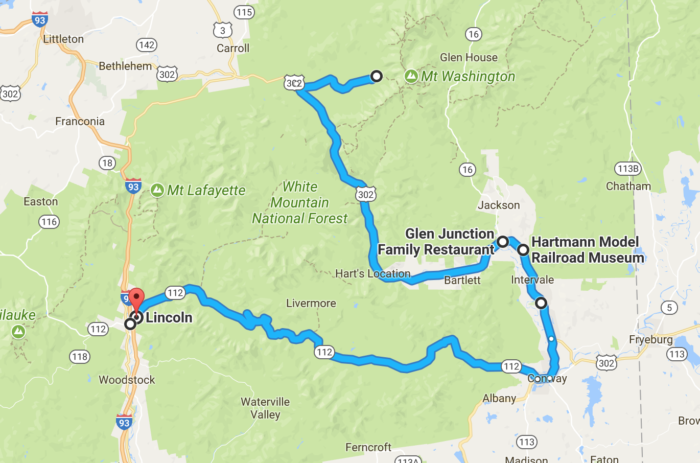 To drive between each destination would take a total of just over two hours, but the realities of train schedules, seasons, etc. mean that visiting each of these in a day may not be feasible. Nevertheless, let's dream! Here's our map. We'll start off with the one attraction you simply can't miss. There's no question that the Mount Washington Cog Railway is the most iconic train in all of New England. 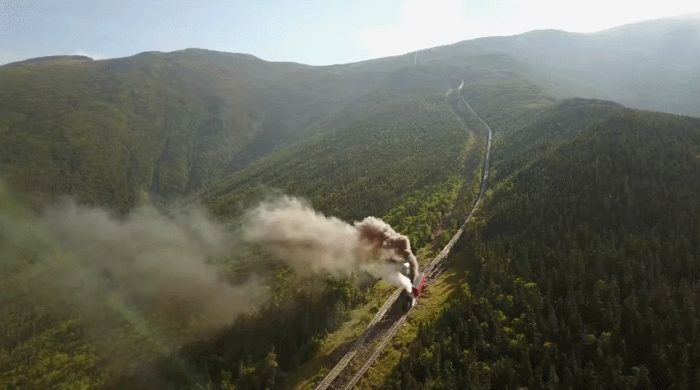 There's been a train going up Mount Washington for nearly 150 years, but the magic of the experience never diminishes. 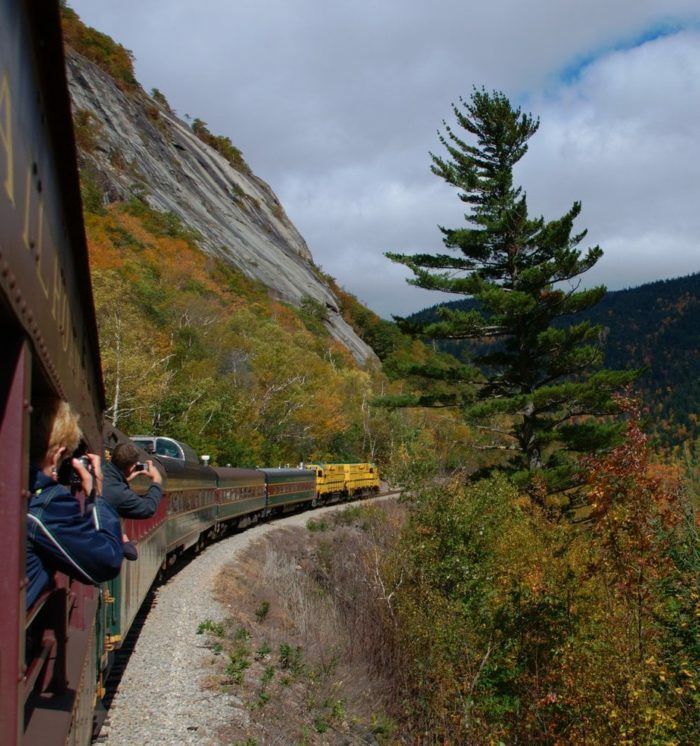 If there's one train you ride in New Hampshire, make it this one! 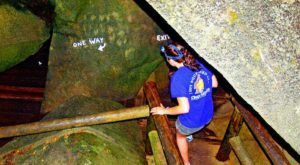 Learn more here, and find it at 3168 Base Station Rd, Mount Washington, NH 03589. 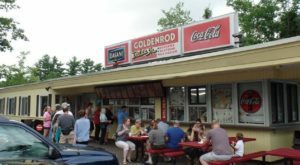 After that ride, you must be hungry. 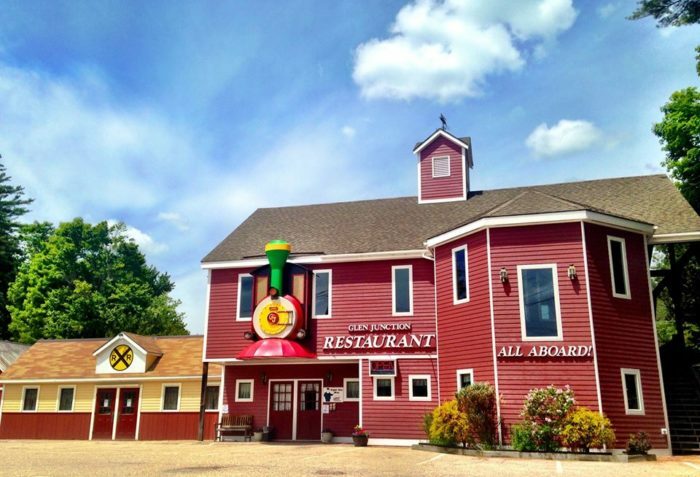 This train-themed restaurant is the perfect place for a train lover to enjoy a hearty breakfast. 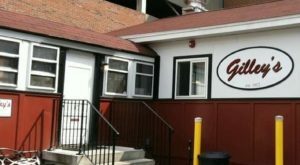 It's full of fun memorabilia, including a model train that runs around the restaurant while you eat. 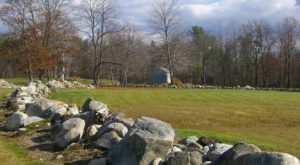 Learn more here, and visit at 12 US-302, Glen, New Hampshire. 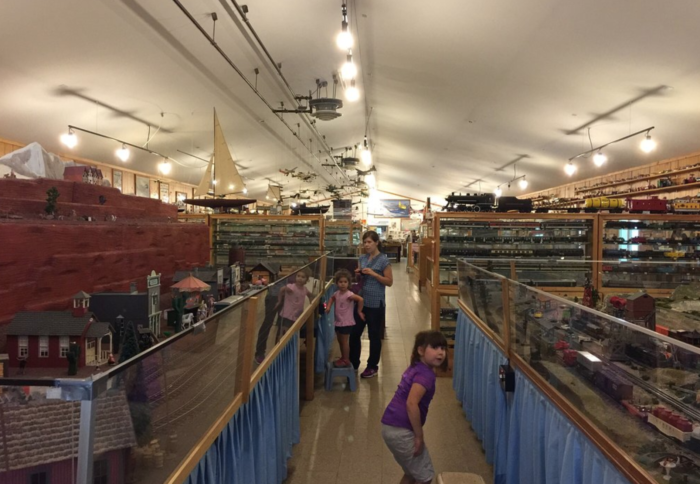 If you're a model train enthusiast, you'll absolutely love this museum, which features some spectacular setups. There's also an attached hobby shop. Find it at Route 16/302, 15 Town Hall Road, Intervale, Bartlett, NH 03845. Want to squeeze in another train ride? 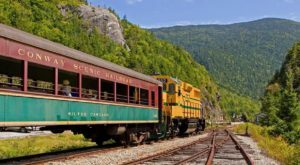 Conway Scenic Railway's Notch Train will take you on a 5.5 hour trip right through Crawford Notch, through some of the most dramatic and memorable views in the Granite State. If you want to splurge, the First Class car is amazing. Or buy a ticket for the dome car for the most incredible views! Note that this train is seasonal. 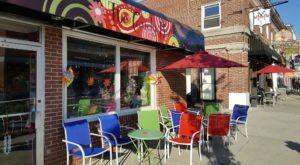 Learn more here and find it at 38 Norcross Cir, North Conway, NH 03860. For dinner, there's an obvious choice. 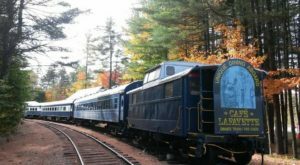 If you want to impress a train lover in New Hampshire, take them to dinner on the Cafe Lafayette Dinner Train, where you'll enjoy a gourmet meal and a gorgeous train ride all in one. They don't operate in the winter, so make sure you put it on your schedule for spring! Learn more here. The train can be found at 3 Crossing At Riverplace North Woodstock, NH. It's been a long journey, and you're probably ready for bed. 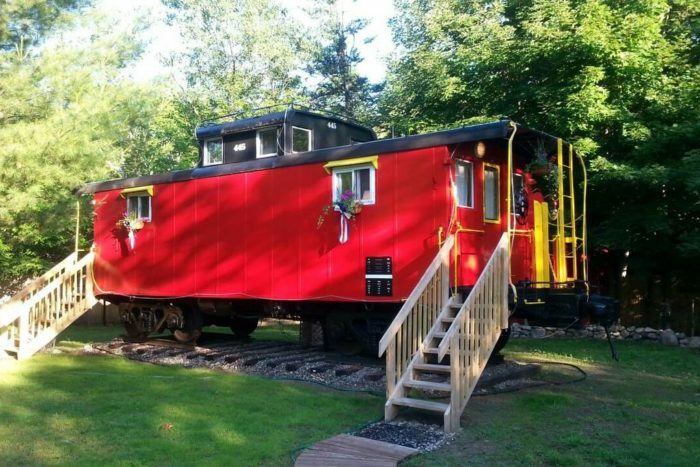 If you're a true train enthusiast, you'll want to spend as much time onboard as possible - so why not sleep in a caboose? You can rent this one, fully fitted for an overnight stay, on AirBnB . If you’re a train lover, you’ll probably also be fascinated by this footage of an abandoned New Hampshire train car.